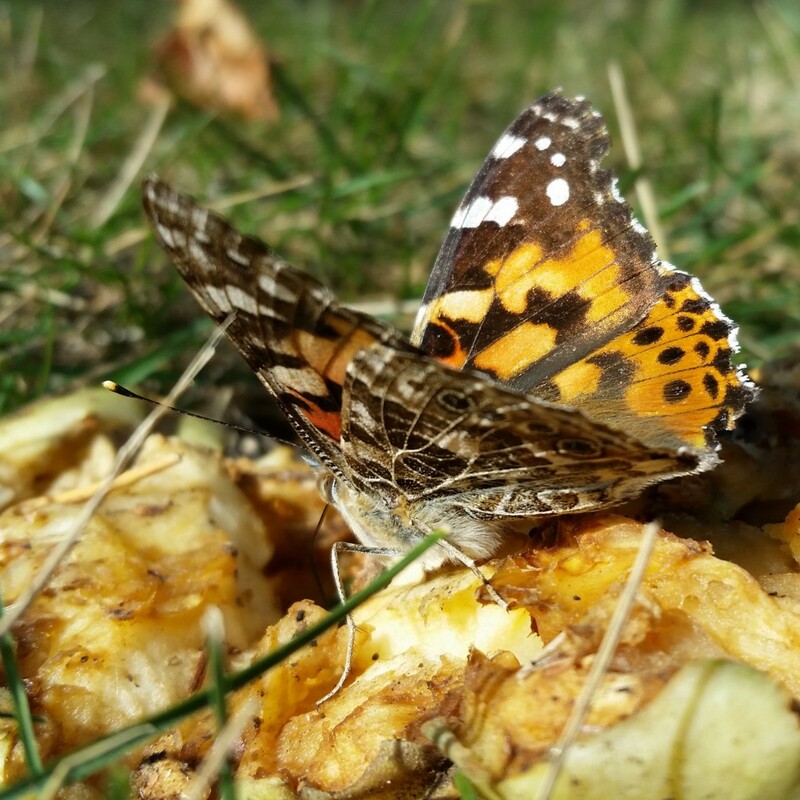 Painted lady butterfly drinking juice from fallen apples, Madison, Wisconsin, September 30, 2017. I saw some woodpeckers and dark-eyed juncos from my kitchen window today, but only mallards and gulls while we were out on our walk today. It was very windy, and though I heard what sounded like a downy woodpecker peep, I never saw it. We have a few bald eagles around here, and I got a glimpse of one of them in flight. Painted ladies are related to monarch butterflies and can go through several generations in a summer. Despite the name, they’re not all female. Why are these butterflies called painted ladies when other butterflies exist that are much more colorful? I didn’t find the answer to that question in my research, but the American painted lady has tiny splotches of blue on the lower wings, and other species have colors as bright as purple. So maybe it’s the color variety across the subgenus, rather than in any single individual.